Advanced Engineering Techniques are pleased to confirm that the latest addition to its range of press brake machines is due to land on the 9th of August. 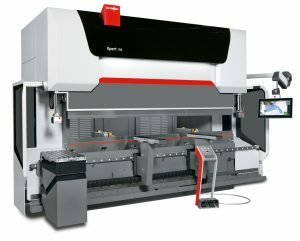 The 4.1 metre Xpert200 has been commissioned with an additional 200mm daylight and stroke giving the company the capability to press deeper and more complex components. The Xpert – one of the most advanced in the industry – will replace the company’s second ever press brake, a 4 metre Edwards Pearson machine which has given AET excellent service since 1998, and continues the well-established history between the companies.